We offer a wide variety of fly fishing hooks from top name brands Daiichi, Mustad, Tiemco, Gamakatsu and more. Plus our J. Stockard Fly Hooks have the same features as brand name hooks and they are available in popular styles at very economical prices. 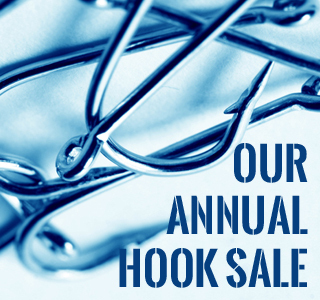 During January, we feature our Annual Hook Sale with savings up to 15% and we have hundreds of hook styles and sizes in stock and ready to ship. You can get a jump on the sale; the discount prices are already available on our site. Happy New Year and Happy Shopping! This entry was posted in Fly Fishing Deals & Sales, J. Stockard Fly Fishing News and tagged daiichi fly hooks, discount fly hooks, fly hook sale, fly hooks, Mustad fly hooks, Tiemco fly hooks, TMC fly hooks on December 30, 2014 by J Stockard. This entry was posted in Fly Fishing Life, The Art of Fly Tying and tagged classic fly tying, fly fishing film, kiss the water, megan boyd on December 26, 2014 by J Stockard. By all means challenge me if you disagree, but awhile back I came around to the dark side. Yes, you know what I mean–the side reserved for sleazy timeshare salesmen. I realized that whatever I’m offering doesn’t necessarily have to be terrific, as long as I’m slick and the schmucks I’m targeting are under pressure to decide quickly. So I toss out something, present it as a thing of value, wave it briefly past their noses, and then I lower the boom: “This offer is only good for the next few seconds. Let it walk out of your life and you’re the loser of the hour.” And the amount of time I give ’em depends on how good a look they got. Talking about fly fishing here. Yes, I know everyone says trout aren’t really that smart, but still none of them have ever bought a bridge from me yet, so I think their IQ is generally a match for mine. They’ve certainly passed up a lot of stuff I’ve put within their reach. I rationalize that dismal record by saying they represent a billion years of pattern matching evolution (compared to my handful of dismally squandered decades barely able to match my own socks), and they know a “catch” when they see one. So what’s a salesman to do? 1. Current — If it’s swift, such as alongside a pour-over or in rambling freestone streams, they see everything for only an instant; then it’s behind them. Even poor imitations of a snack they like can fool some of them in this environment. 2. Competition — If there are a fair number of hungry fish, in the back of their genius-but-still-lima-bean-sized brains is the possibility that one of their rivals is going to rush past them and take the thing. It being the wild, they’re not exactly friends out there. They don’t like to share. Like the old fable about ladies shoes being purchased not because they’re needed but mostly to keep other ladies from having them, trout have been known to go for a fly before another trout gets to it. Admittedly these are often the smaller dumber ones, but that’s not a hard and fast rule. 3. Opportunity — If there’s a hatch on and they like what’s emerging, they may not be in the mood to spend a full minute inspecting every tiny morsel. They snooze, they lose…time’s a’wastin’. They sometimes just resign themselves to slurp now, burp later. 4. Evasion and Escape — if something is swimming away rapidly, the window of opportunity is closing and they’ve gotta choose. This includes cases of what looks like some bug larva jerking away into the rocks or weeds, or what resembles adult insects skittering across the water’s surface, potentially able to take flight. So I get my head around the factors that could make them dispense with their slow and deliberate sense of doubt. I want to use the motivations for carelessness to my benefit. Then I assess the ways in which I can obscure my offering’s imperfections. I don’t want them to get a real good look at it…even a pattern my human eyes think is identical to the real bug will likely have color qualities that differ from the natural, especially in spectrums we cannot see. And there’s also that big curved, disturbing pointy thing hanging down…no, I don’t want them to analyze with a full complement of data. Water clarity is a big factor in this part of the equation. Cloudiness or “color” diminishes their ability to see every detail, and like swifter current shortens the inspection window; each potential mouthful drifts in out of the gloom, and gone. Not much time to decide, and not much in the way of specifics on which to base the decision. Low light is a factor too, although they can see pretty well in dim conditions. But the spectrum changes with a weak or angled sun, and the shadows lengthen, all of which helps. Size of the morsel being offered plays a similar part. So I take a look at the water and get a feel for how much time they’ll see my fly, and how well. Then I figure out what I’m going to offer them. I want to use something visible enough that similarities to the natural are obvious, but I want imperfections to be less evident. Really clear water is likely going to need some movement–either current, or retrieve, or skittering, or something–with the flies I typically use. And crystal clarity says “small fly,” in my reasoning. Again, I want them to have just enough data to decide before they can get the rest of it. Swift water, even if colorless, might still let a tinselly thing do the trick, but I try not to use gaudy ties or larger sizes when ultra-clear water is moving slowly. 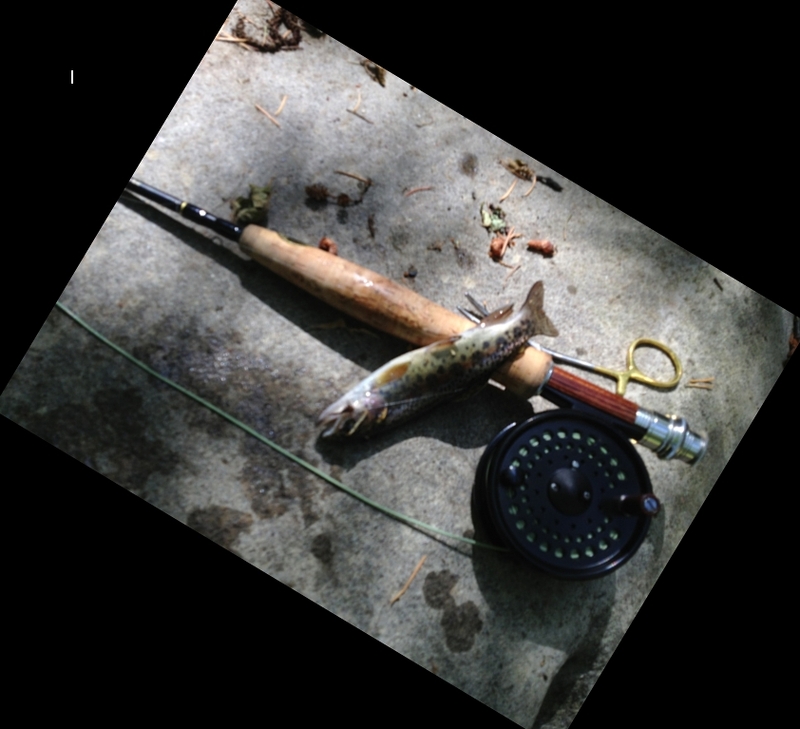 The trout just have too much time to harbor doubts…and doubt is one thing no creature does better than trout. Cloudy water is what neon colors and Krystal Flash were made for, in my humble opinion; that kind of sparkle just isn’t needed–and by my experience is usually detrimental–when visibility is excellent. They’re already incredibly good at identifying objects; I don’t want them to be “in their zone,” bringing their primary forte, unfettered, to the game. Lest I ever begin to doubt a trout’s ability to know exactly what has fallen into its world, I continually remind myself of the day I took my kid to a hatchery, where we tossed tiny food pellets into masses of roiling rainbows. I could lob in a single grain-of-sand-sized piece with a flick of a hidden thumb, and in less than a half-second every trout within a dozen feet would still race instantly to the precise spot that speck touched the water. They knew; if they’re anywhere in line of sight, they know exactly what’s there. So there’s no need to use large gaudy flies or techno-metallic sparkle unless the water’s color substantially cuts their visibility. Comments I’ve heard and read from guides and tying experts seem to agree–which is partly what made me go down this whole line of thinking. One of many examples is a bit of guidance from an article by Bryan Eldredge about his ten favorite nymph patterns, in which he said (about the Prince nymph), “I prefer the “Formerly Known as” [that’s a variation which substitutes holographic tinsel for the natural light-colored goose biots] when the water color is a little off. On sunny days, I often go with the original.” He’s advocating that fishermen reserve the shinier version for when fish can’t see quite as well. And plenty of other examples abound. Maybe it’s my clumsy tying thumbs, but some of the patterns I tie always do better in riffles and bubbly water on the edges of rapids than they do in still, clear areas. And patterns aside, my sometimes sloppy presentations can also fool more of them when the fish feel pressured to decide. Over the years I’ve learned to take note of that. CONFUSE THE CRUX OF THE DECISION. Asking, “Do you want to buy this timeshare or not?” is a 50-50 proposition at best; not good when a huckster is looking for more advantageous odds. Better to present it this way: “This timeshare is perfect for you…do you like the classic Spanish villa style, or do you prefer the trendy modern decor?” That is, turn the decision to one of settling a smaller question, thereby effectively settling the larger one. In fly fishing that can be done by offering two flies–a big or gaudy attractor that plops down on the surface, and a subtle little thing beneath. They turn to look at the flash, and if they’re inclined to scoff they may well flex their defiance by instead taking the tiny natural-looking option, which by comparison with the other one looks real. You’ve focused them on two varying options, distracting them from the bigger yes-or-no question. I always hear people say that “big fish want a big mouthful,” but as often as not those folks are casting to other species. In my opinion trout get big in great part by being choosy rather than by aggression…and it’s also much harder to find streams these days that see no fishing pressure, so they get smarter yet, by necessity. Yet if they pass up some big wooly bugger, they still seem willing to take a #20 little midge nymph. Just my theory but I think it’s a combination of an attitude that tiny things can’t be dangerous and the fact that getting a good look is harder at that scale. So they take a chance–they decide. Nothing about any of this is news. And all of it can be described in other terms. But this is how I conceptualize it; hopefully it can resonate with others. Maybe I’m giving the fish too much credit for emotional complexity. I don’t think so. By the way, I’m an engineer, a writer, an adventurer and a Dad…not a salesman. I have, however, had all the sales tricks pulled on me at one time or another, and now I guess I’m guilty of committing the same sins. Well in my own defense, at least once a transaction is done I let the suckers that I fleece…uh…off the hook. 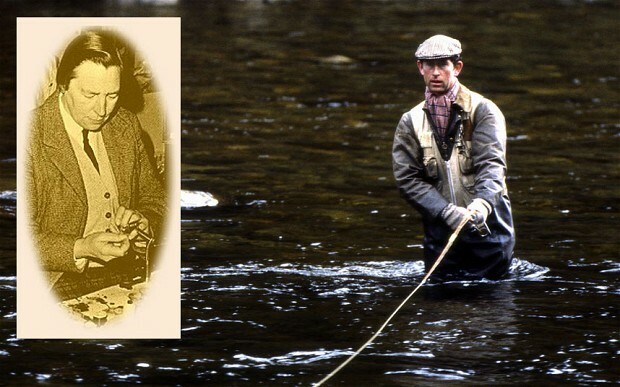 This entry was posted in Fly Fishing Life, Fly Tying Materials & Supplies, Michael Vorhis, Fly Fisher & Author, Our Regular Contributors and tagged fly, fly fishing, fly fishing life, Mike Vorhis, presentation, selection, Trout on December 23, 2014 by Michael Vorhis.